It’s part of this year’s New Zealand Cyber Security Challenge, with high school pupils, university students and industry workers battling it out to be crowned the country’s drone hacking hero. 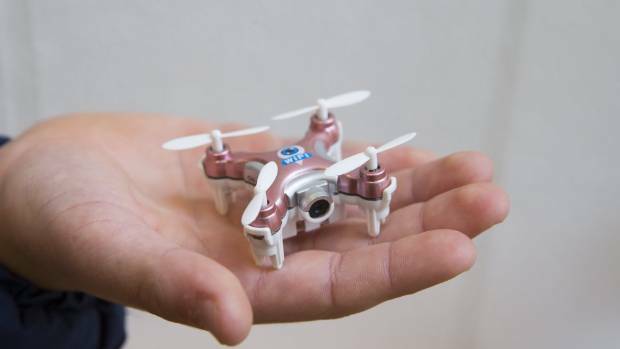 In a brightly-lit lecture theatre on Friday, hundreds hunched over computers amid the whiz of palm-sized drones. Drones are a scary threat to cyber security, Dr Ryan Ko, who set up NZ’s first Master of Cyber Security degree at the University of Waikato, said from the event. And shooting the killer contraptions down isn’t the answer. Instead, you have to find the source – or the mother ship – and use coding to emulate it. “They call it the man in the middle attack,” Ko, who helps to organise the challenges, said. “The race is on for researchers to create new technology that can allow and power people to stop incoming drones. On Saturday, the top 150 cyber crime fighters will compete in the final three challenges, with the winner scoring $2550. And the high school students can’t be underestimated, Ko said. This year, 12-year-old Ashton Warner’s taking part. He’s been brought along by his 18-year-old brother, Logan Warner, who’s attending his third year. Drone hacking is new to both of them, but Ashton is already familiar with about five different web codes. The Auckland-based brothers hope to go into the cyber security business one day. “The challenges get harder every year,” Logan said.